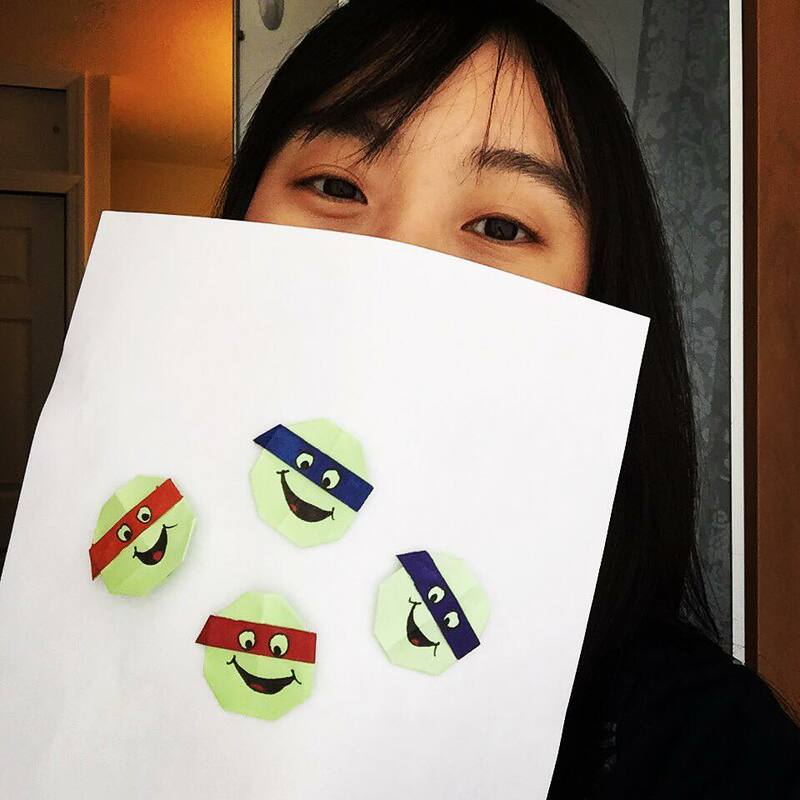 In this origami tutorial, I will show you how to make Teenage Mutant Ninja Turtles! How many of you have seen the TV show – way back when? 😉 Can you name them all? I had a little bit of trouble (blooper at the END of the video!). Well, it’s Leonardo, Donatello, Michelangelo and Raphael, in case you’re wondering. I chose to make the origami turtle heads more round than oval, but you can choose whatever shape you want (their heads are usually a little flatter). All it requires is one square sheet of paper and some markers to color and draw in the Ninja Turtles’ features. I hope you enjoy this origami turtle tutorial. PLEASE SHARE with your friends! ENJOY! !